WordPress keeps on unveiling newer and fresher themes on a regular basis. All of the themes possess something truly unique and distinctive, which sets them apart and above from rest of the competition. In the compilation that follows, we have put together a collection of stunning Metro style WordPress themes which have been specially designed to improve the overall look and substance of websites, also to better user navigation and browsing experience. Take a look! Wired with a user-friendly interface and many other likable features, the Web Design WordPress Theme has got the fully responsive metro style design which will do its bit and entice visitors and converts them into customers for you. 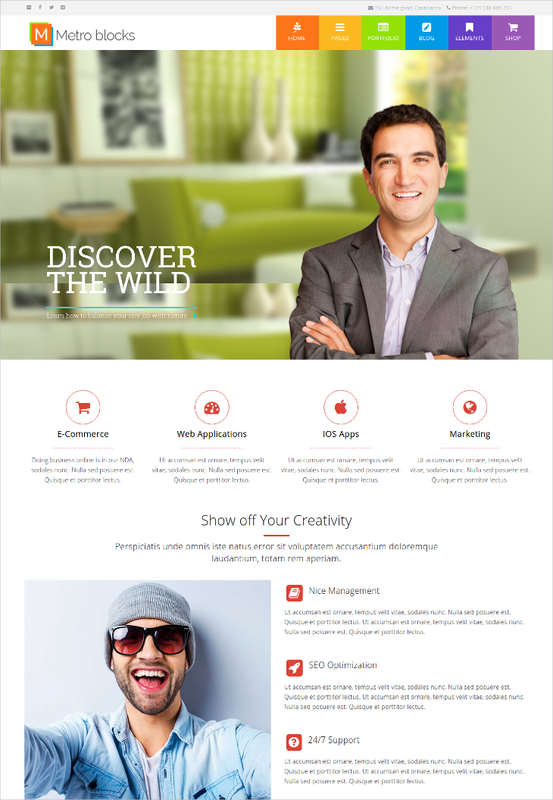 If you’re running a web design company or studio, this template is apt for you and your team to showcase your works. Features include a drop-down menu, calendar, Google Maps, cross browser compatibility and much more! 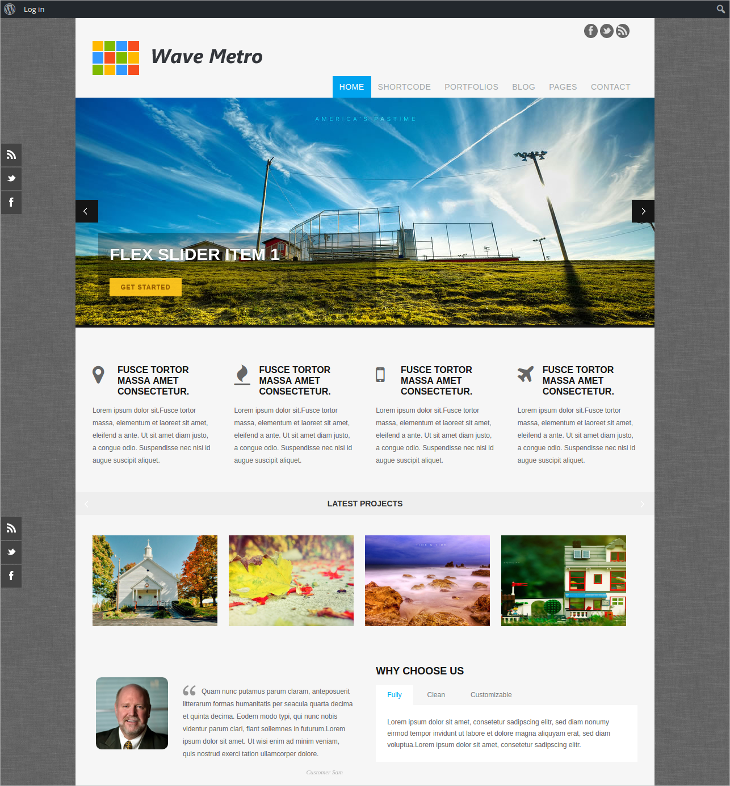 This is generic Metro style WordPress theme. You could use it to be the spine of any kind of website. 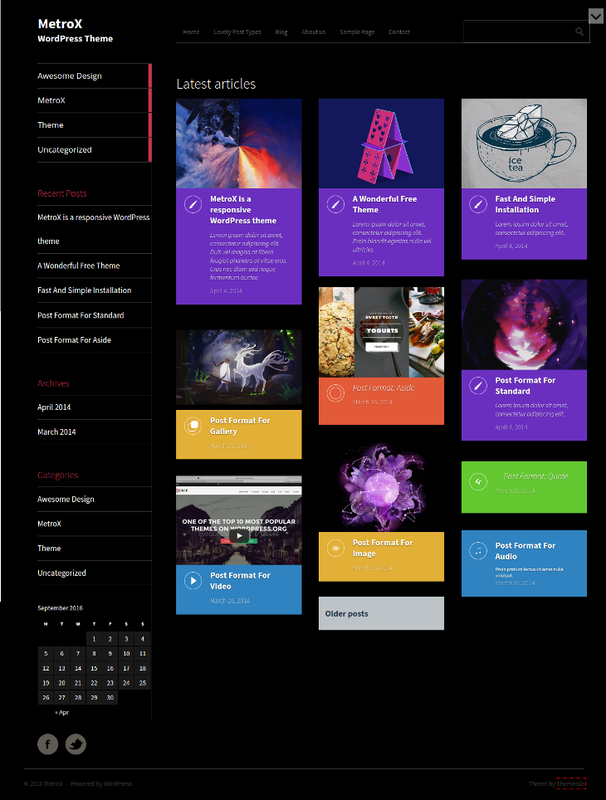 The theme template is packed with a fully responsive layout and design, a powerful theme options panel which let you customize the theme freely. What’s more, it also has ready-made widgets, HTML5 coding, fully layered, Contact form etc. Be it corporate or creative, this particular Metro Style WordPress theme is multipurpose and good enough to become the muscle of any website. 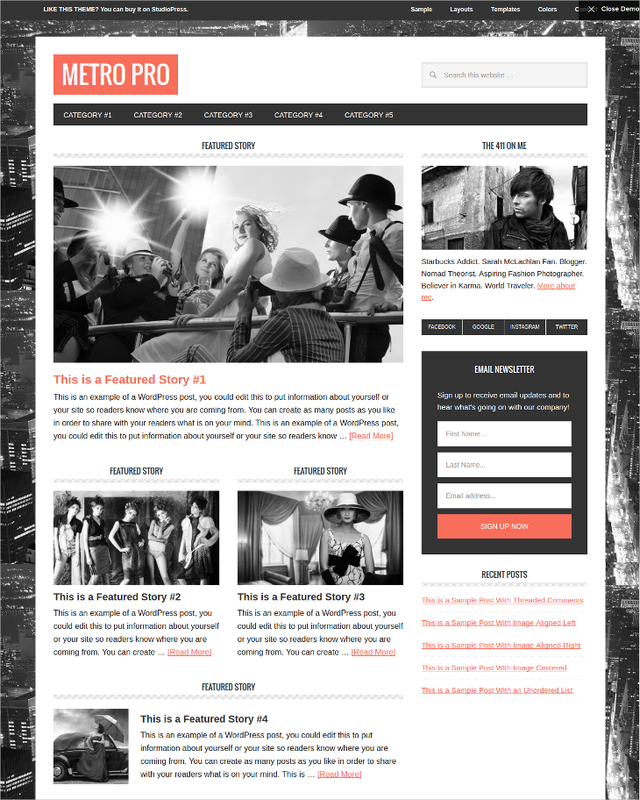 The design and layout are fully modern and it is a good fit for artists, designers, photographers and other creatives. Brimming with flat colors, the theme is stylish, loaded with widgets and the works! 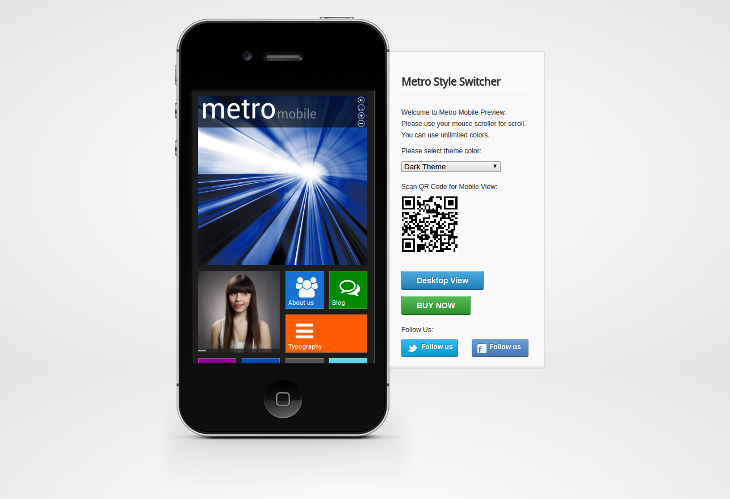 If you’re after creating a website which is supremely mobile-friendly, well, then wait no longer and deck up your website with this Metro Mobile Template. This mockup has been tested on WordPress and it has worked! This theme has two dozen real Metro Colors &amp; Unlimited with Custom Color, plus it also has multiple photo gallery support. With comprehensive customization settings, you should have a good time exploring and experimenting! 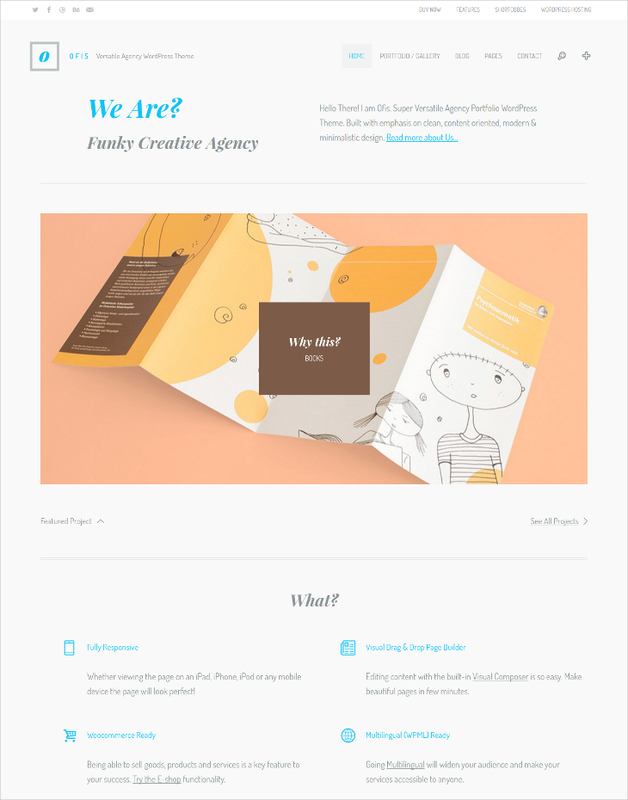 The Ofis WordPress Theme is a good choice for users that are keen on getting their design portfolio up in the digital space. Give your visitors and potential clients a wow factor by choosing this theme to exhibit the lineup of projects you have in the works and have already worked on. 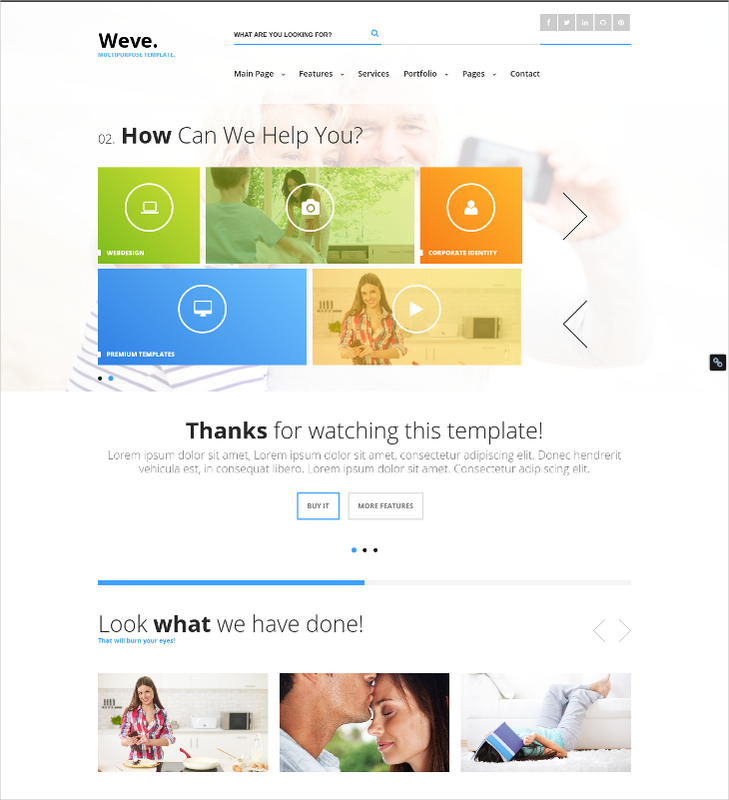 This is a fully responsive theme template which has a long line of options and features in its every aspect. 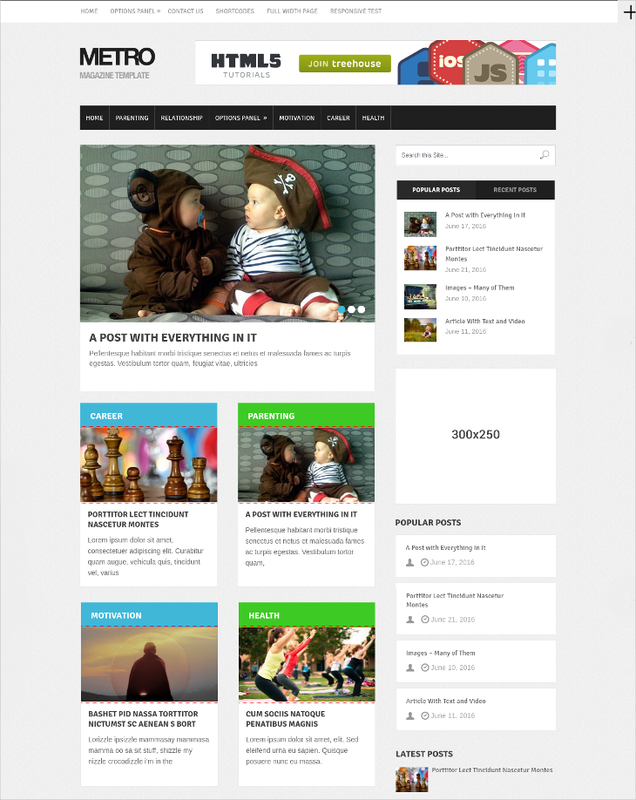 Metro-Blocks WordPress theme is a fully responsive and versatile theme. It is built to cater to all kinds of design website needs. With its powerful inbuilt customization tools, you should be able to easily transform its overall look and appearance in a jiffy, and transform it into a commendable business selling tool for your projects. Looking to give your website or blog a renovation which will give a more business-like feel and look? 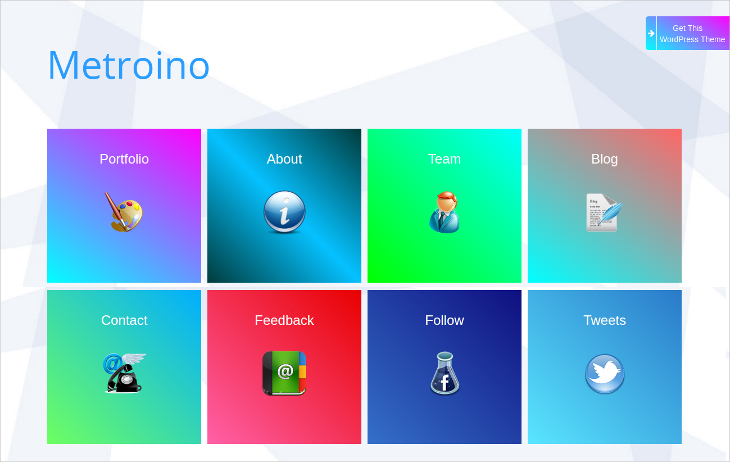 Well, then allow us to introduce to you Wavemetropro. 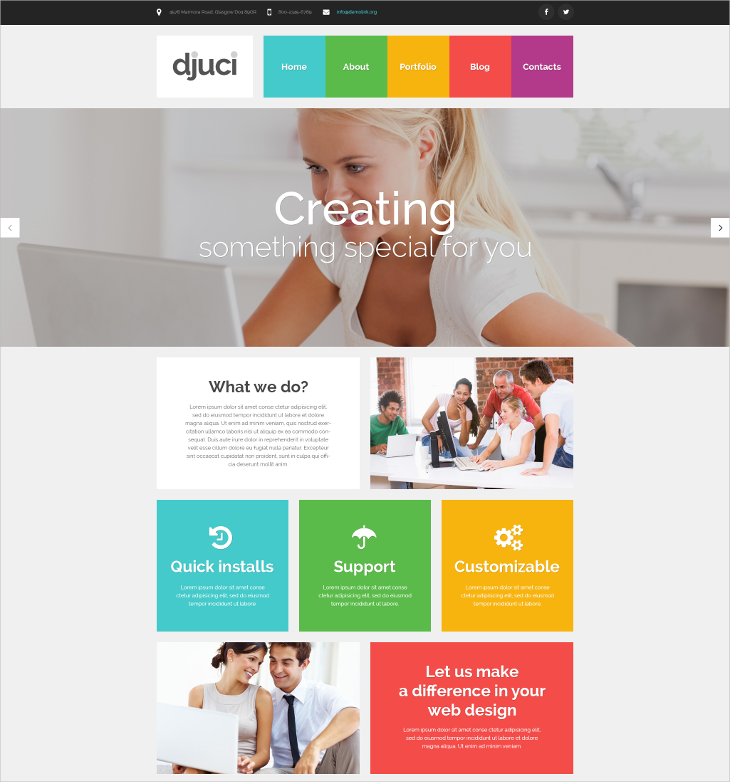 This is a powerful premium theme which is intuitive and responsive in its use and looks. Plus, it’s got a comprehensive range of features including likes of 500+ Google fonts, 100+ Cufon font, and Font face, plenty of customization options, tons of useful shortcodes, unlimited page layouts etc. Get ready to feast your eyes on yet another attractive Metro-style WordPress theme which is a very good option for portfolio-based websites. 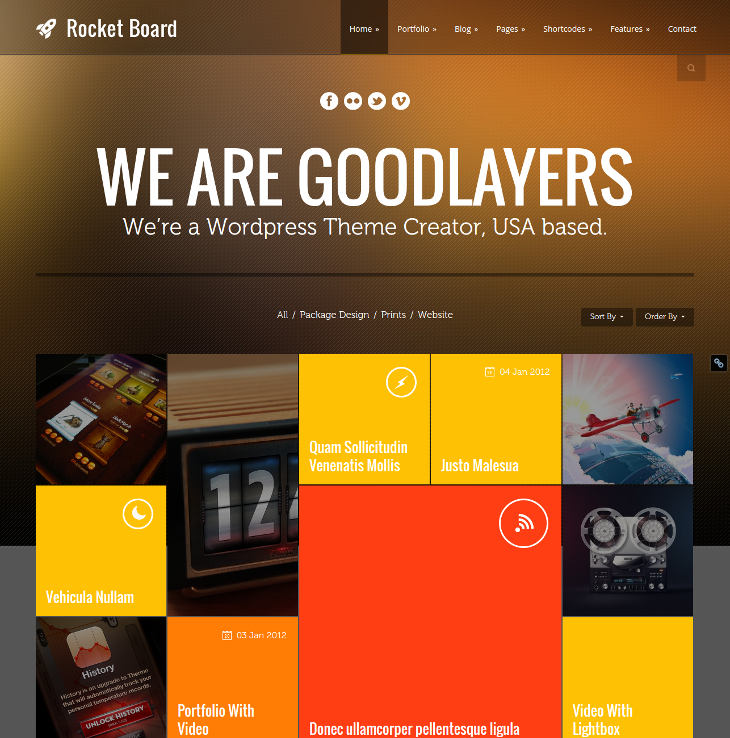 This is a multipurpose theme and the features of the theme allow users set a certain color on each metro box, plus there are nine pre-given background colors to experiment with, you can use the Rocket Board for your projects and works, and blog posts as well, the theme is SEO-optimized. This Metro Style theme option is for the ones that simply relish and cherish simplicity in website design and appearance. The DW Page Metro is a one-page fully responsive theme. If you’re looking for a lightweight and fast-loading website theme, this WordPress theme is the perfect solution. Be it a personal website or an agency web portal, the Metro style WordPress theme is fully responsive and retina-ready theme. Although it is packed with respectable features and options, the simplistic design will get to you first and make a good impression. The theme is more than perfect for the ones associated with the creative industry. If you’re a blogger and you are hell-bent on taking your blog site to the next level in all respects, we’d suggest you take a look at this ultra-modern theme template. It has crisp colors wonderful customizable layout styles which will present your blog contents the best way! 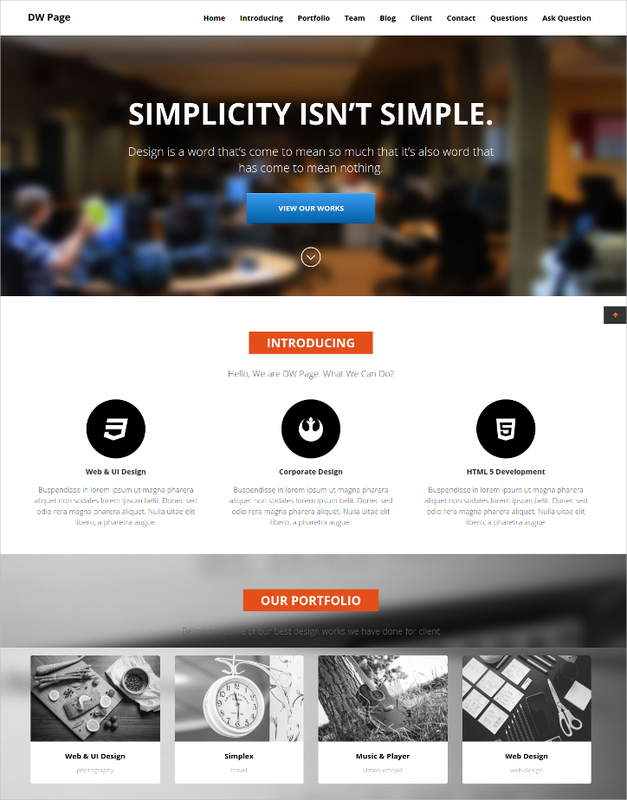 For the fans of minimalist design, this metro style WordPress theme is good news. Be it for your blog or website, this theme has got a stock of options and features to deliver a masterful impact to your site. The theme is high on style and design, give its contrasting flat colors. 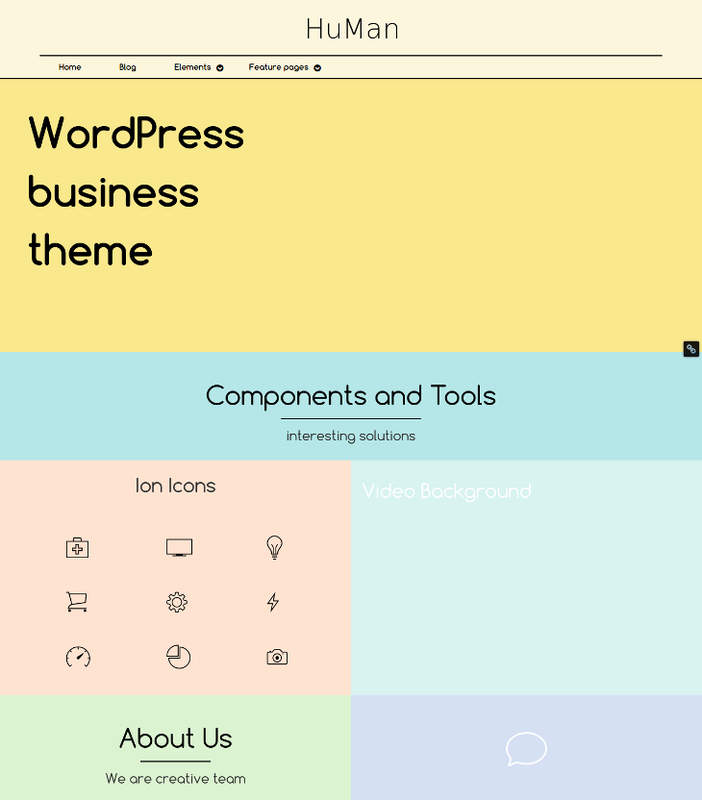 This theme is apt for all kinds of websites! This Metro style WordPress is yet another power-packed versatile theme option which you could consider for your website – business or portfolio – it fits all and how! 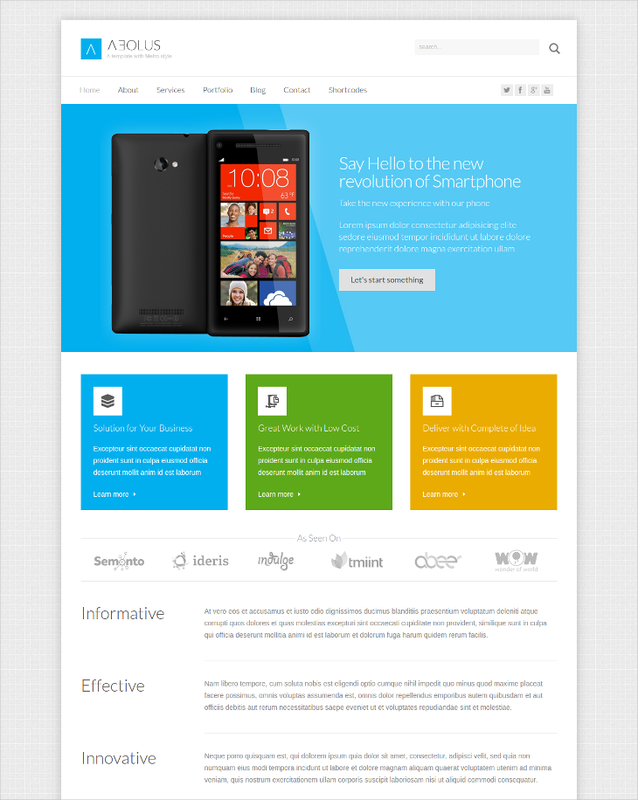 The theme is powered by elegant and responsive design, looks thoroughly professional. It has more than 12 homepage tiles, 40-page animations, grid-style layout for portfolio and team posts, inbuilt sliders and shortcodes, and so much more! If you would like a bit more posh-looking looking magazine style Metro theme, check out the Metro Pro theme. It is thoroughly modern and fully responsive theme wired with a spacious 1152 pixel-wide frame which quantifies the qualitative contents which you put up on your website or blog. This is a premium theme. 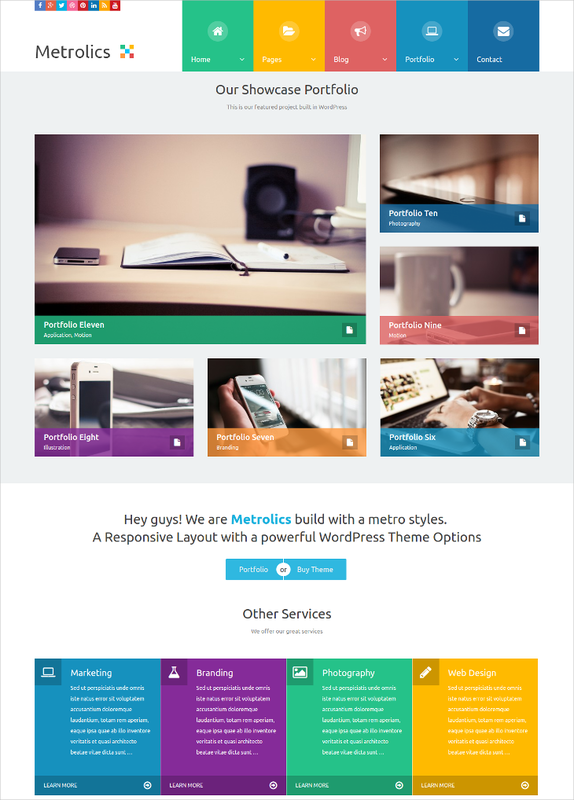 MetroX is a free Metro WP theme and it is good for all kinds of websites and blogs. Apart from the clean coding and design, it has got all the prerequisite features and options which are a must for a theme of such kind. Be it a powerful theme options panel or cross-browser compatibility, this theme has it all. All of the Metro style WordPress themes displayed above are aimed at fulfilling all kinds of users and websites needs and requirements. Regardless of the genre of the website or blog, the themes will deliver the impact and results expected of them in a qualitative manner.